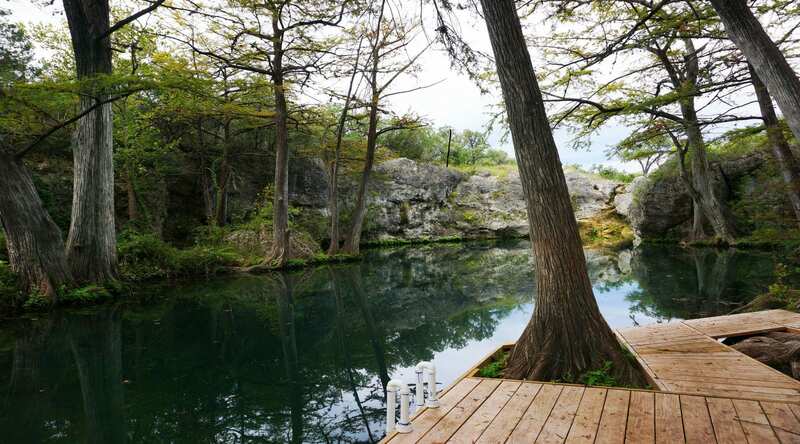 Having a wedding in the Texas Hill country? A Family Reunion? Or perhaps hosting a business or church retreat and need accommodations for a large group. Hill Country Premier Lodging can assist in finding just the right venue for your needs. Properties on this page feature not only large sleeping capacities but also have many amenities such as pools, fire pits, nature trails, river/creek access etc. 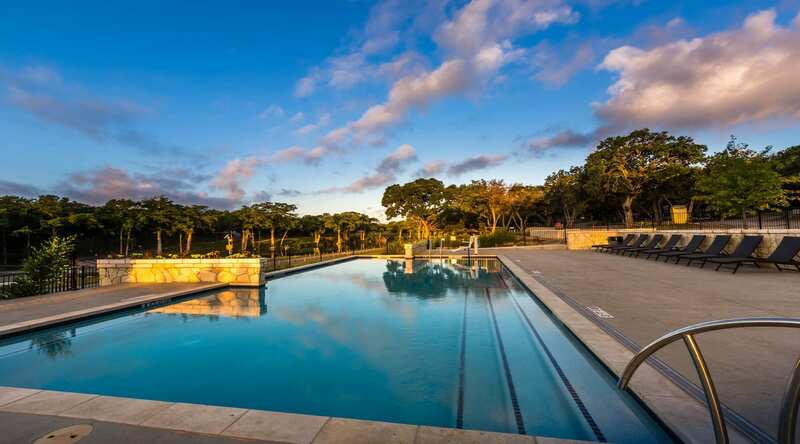 that are sure to help make special Hill Country memories. The Cabins on the Square has four motel style rooms and a cabin main house. This property can comfortably accomodate 22 people and is located directly in the town square within walking distance to everything. This property sleeps up to 52 people and is located directly across the street from the popular Wimberley Market Days location. Being just minutes from the downtown square and having multiple private rooms, it is an ideal location for family reunions, corporate retreats, and much more! First established in 1946, 7A is a family vacation destination located adjacent to the Blanco River. Sitting on 142 acres, and operating Pioneer Town with its own ice cream parlor and arcade, there is something for all ages to enjoy. Accommodations from 2 people to groups of 40. Situated on 75 acres and with multiple lodging options, you are sure to find something that fits your taste and budget. 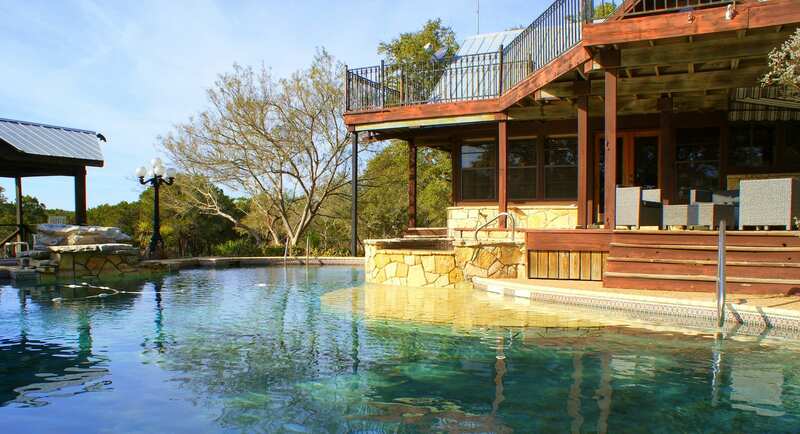 From cabins to a sprawling estate Ranch House, the Ranch at Wimberley has it all! Come enjoy the nature trails or perhaps rent the barn for a special occasion. Lodging for up to 60 people. Come enjoy nature and get away from the hustle and bustle at John Knox Ranch. Featuring 300 acres to explore and a variety of lodging experiences, including camp sites, screen cabins, duplexes, RV hookups and a Ranch House, you are sure to find something for the whole family.